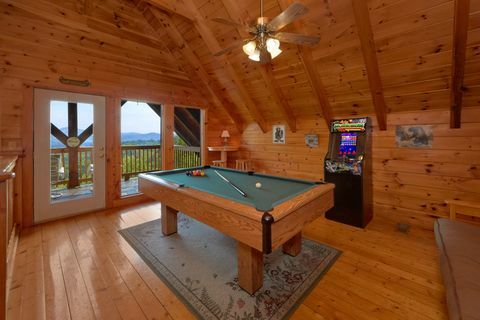 Luxury Cabin in Pigeon Forge with Views - "A Lazy Bears Hideaway"
Welcome to "A Lazy Bears Hideaway," a 3-bedroom Pigeon Forge cabin rental with spectacular Smoky Mountain views, wireless Internet access, a theater room, fireplace and more! 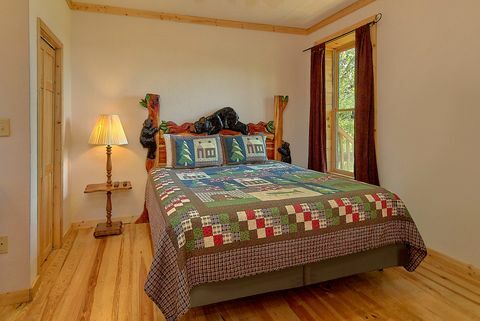 Resting high on a mountainside, this luxury 3 level cabin rental sleeps up to 8 guests. 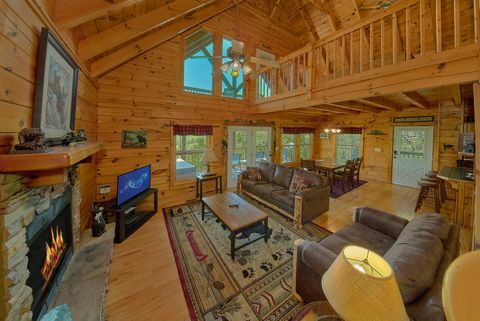 With great amenities, a prime location, and a beautiful setting, this cabin is a terrific place to bring your family and friends to the Smoky Mountains! 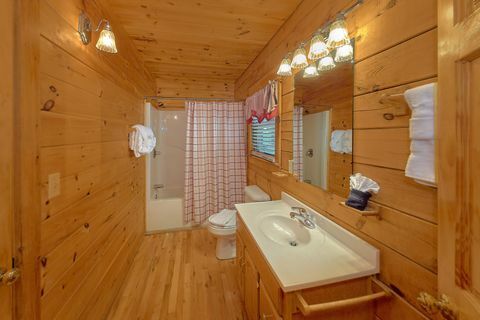 Your cabin provides everything that a family could need for a lavish cabin stay. 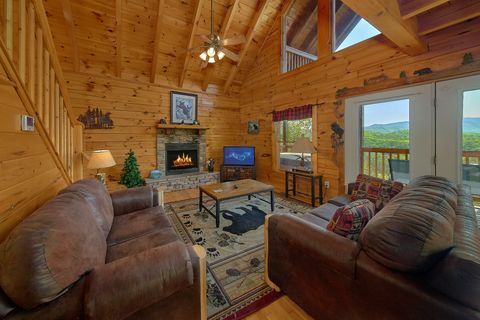 The living room's comfy couches and television with cable and HBO allow the whole gang to enjoy a movie with the rolling hills of East Tennessee as a backdrop. 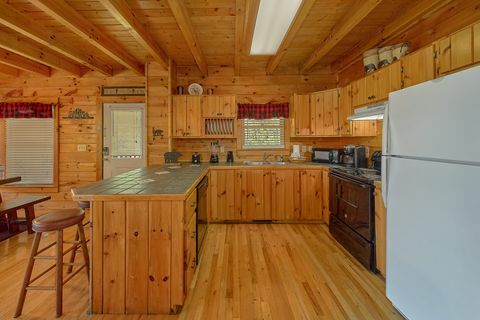 Prepare omelets, pancakes, and more in the well-equipped kitchen for country breakfasts spent gazing out at the gorgeous views. 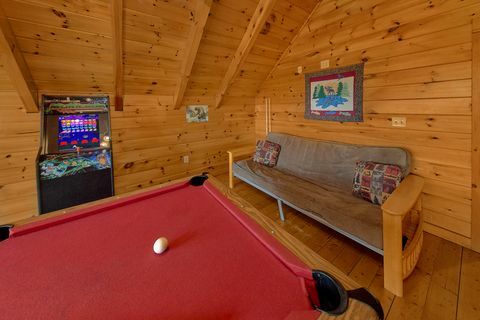 Mom and Dad can relax in the lower level's master suite with jacuzzi tub, while the kids duke it out upstairs in the loft's pool table or try to set the high score on the standup arcade game. 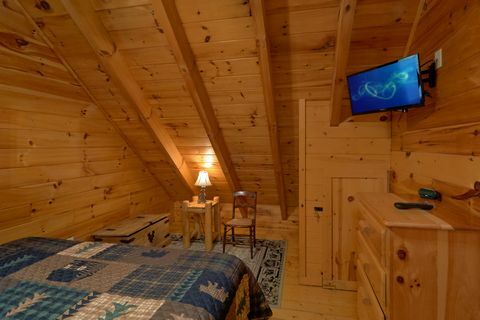 This luxury cabin's theater room allows you to host a movie night in your cozy mountain getaway. Both of this cabn's decks offer you outstanding views of the surrounding landscape, which can be enjoyed from either the hot tub or the rocking chairs. 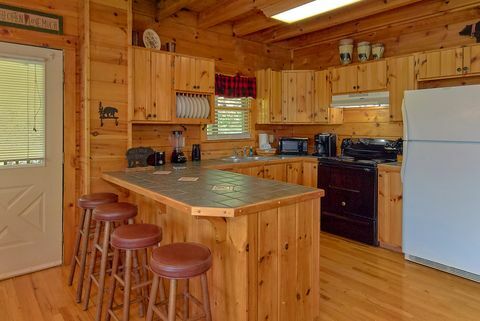 Because of its secluded mountain location, we recommend guests use 4-wheel drive vehicles when renting this cabin in the winter season. 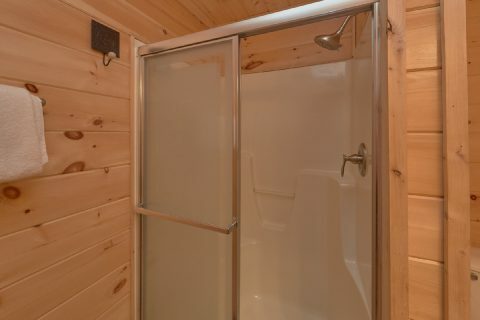 This secluded luxury cabin with views also enjoys a great location in the Upper Middle Creek area of the Smoky Mountains. 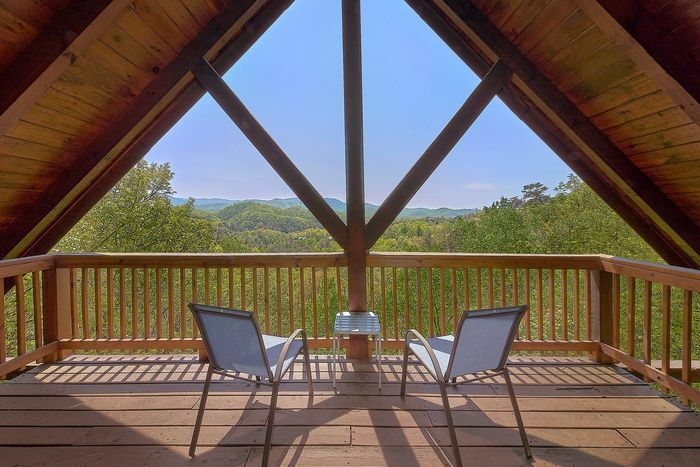 This gorgeous part of Pigeon Forge is especially close to Dollywood Theme Park, as well as other great attractions on the Pigeon Forge Parkway. 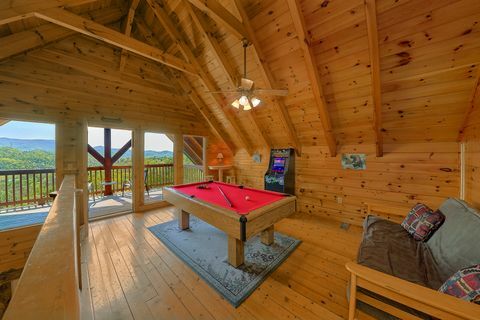 Other area highlights like nearby Gatlinburg and the national park are only a short drive away! 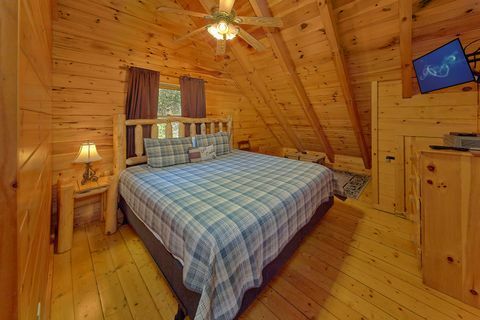 After a day of fun, enjoy a peaceful night's sleep in one of your cabin's bedrooms. 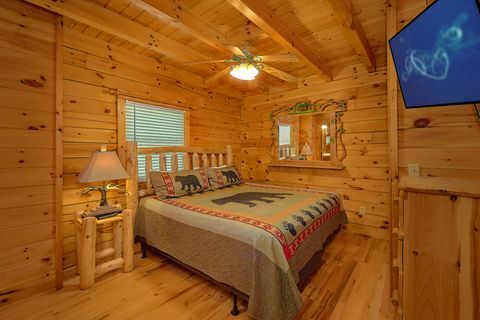 On the main level, a king bedroom allows you to unwind and relax with a comfortable bed and a television. 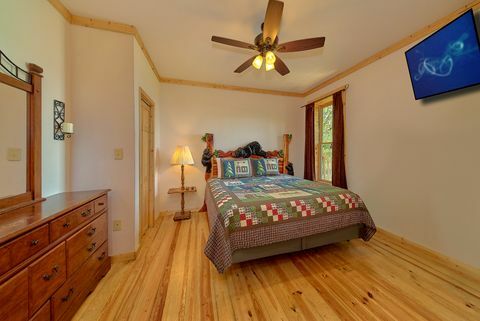 Upstairs, you'll also find the perfect space for the kids to sleep with an additional king bedroom and a futon. On the lower level, a master bedroom suite features a king suite for luxury. 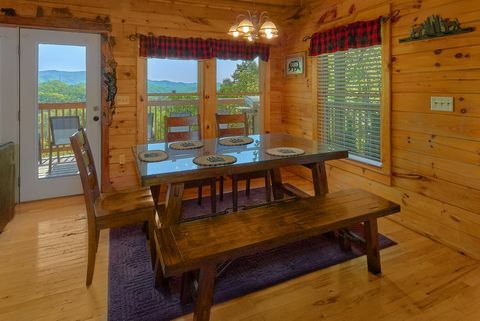 Book this 3-bedroom Pigeon Forge cabin rental online with Cabins USA to secure a special 15% discount on your cabin! 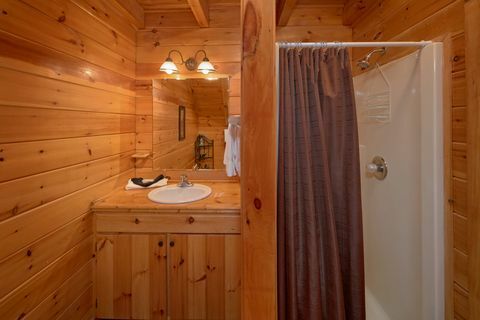 Once you reserve your cabin, you won't want to wait another minute for your fantastic luxury cabin vacation in Pigeon Forge, Tennessee!